My family's holiday tradition is better than your family's, probably. All families have amazing holiday traditions that they look back on with fondness and look forward to each year. For my family, that tradition is visiting the PPG Place Wintergarden in downtown Pittsburgh. The PPG Place Wintergarden is a brightly lit, glass-encased large sitting area at PPG Place, which is six beautiful glass buildings in the middle of downtown Pittsburgh. Each December, this area becomes a literal Wintergarden, with the Spirit of Giving Around the World Displays, the Gingerbread House Display, musical performances, a hot chocolate cart, and an outdoor skating rink. My personal favorite part is the Spirit of Giving Around the World Display, but my family and I just call it "the Santas." 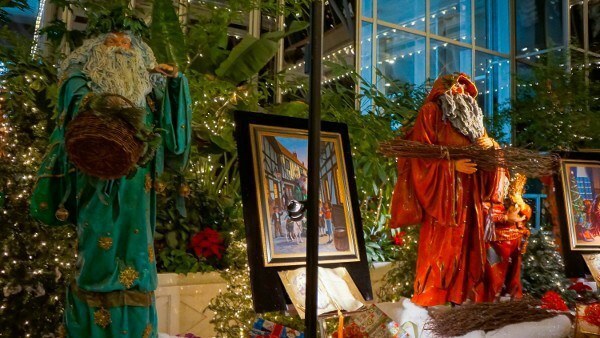 Statues of the traditional "Santa Clauses" from different countries around the world circle the sitting area, each more grand and dazzling than the next. Next to each sits the history of each one, and it makes the history nerd in me soar. Each Santa represents it's country's culture, tradition, and Christmas spirit, and it's amazing to see how Christmas is celebrated around the world. Plus, most of them have glittery, metallic paint, and I love glittery things. 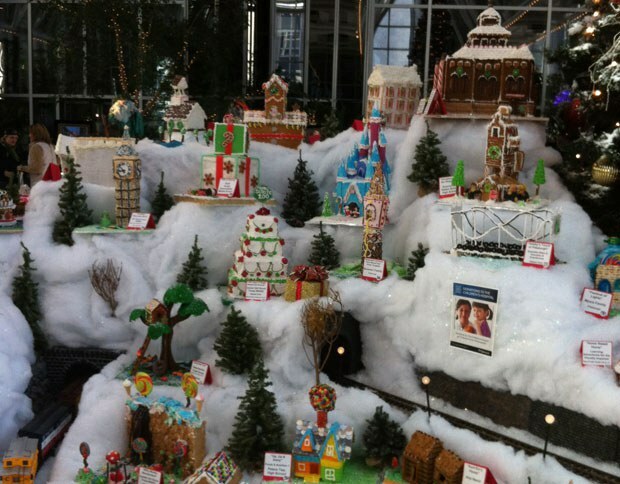 In the middle, all around a tall and marvelous tree, sit the gingerbread houses made for the annual competition. These aren't just any gingerbread houses, these are EXPERT gingerbread houses. Like, Chip and Joanna couldn't even make gingerbread houses this fancy and elaborate.There are also quite a few made by local elementary schools, and though they aren't as professional, they're super adorable. 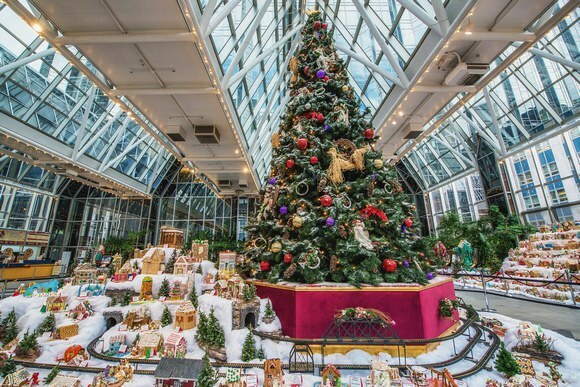 Looking at all the stuff in the Wintergarden could fill a whole day, but if my family and I have time, we love to grab hot chocolate from the Crazy Mocha (a Pittsburgh favorite) cart and watch a few of the musical numbers. Choirs, dance companies, and schools from all across Pittsburgh dance, sing, and play instruments with fun costumes and holiday sounds. Their talent plus the hot coco make my heart warm. (I am so cheesy, oh my God). Finally, if you have time, get some skates and go outside to enjoy the annual ice skating rink and skate around the tree. It's Pittsburgh's own little Rockefeller Center. 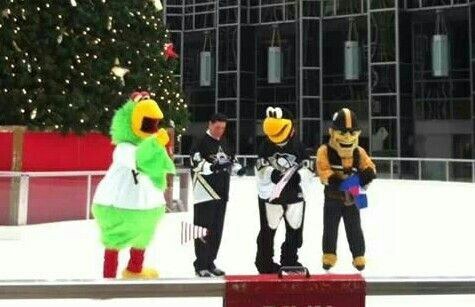 We may not have Matt Lauer, but we do have the Pirate Parrot, Ice Burgh, and whoever the Steelers mascot is. Nobody really cares as much about him. Every family has a tradition, my family's just happens to be visiting PPG Place, but I guarantee it's more fun and festive than any of the traditions your family has. So if you live in Pittsburgh, make the trip to the Wintergarden, you won't regret it. And if you don't, I'm sorry your Christmas isn't topnotch and filled with intercultural Santas. Maybe someday you can visit.